when is a river not a river? This short film is part of The Viscous Shape, an ongoing research and film project by HS & CT which revisits and responds to the text and film archives of George PL Walker. For fifteen years in the 1970s and ‘80s GPL Walker worked as Chair of the Volcanology Department at the University of Hawaii, where he intimately studied and photographed the pahoehoe and a’a lava flows incessantly overtaking the local roads and coral reefs of Maui. 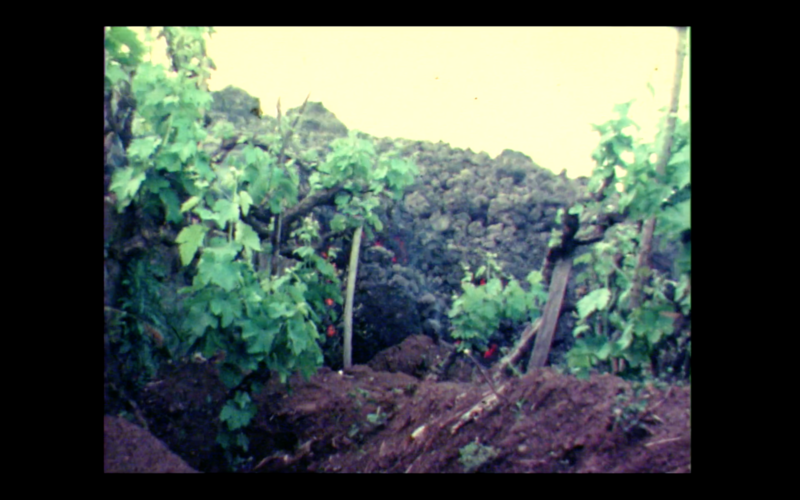 Our short film resulting from the work at Breiddalsettur Geology Center in East Iceland features a 16mm time lapse taken by Walker of one such flow destroying an inhabited area known as “Royal Gardens” over the course of an entire day. 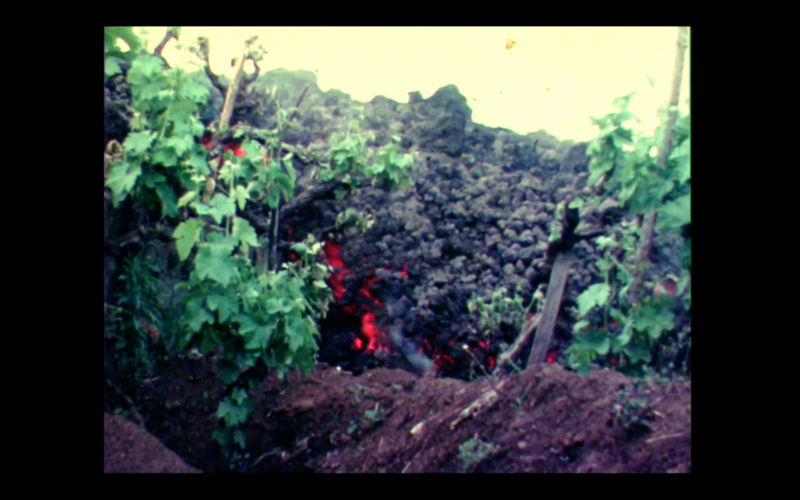 The almost invisible movements of the molten rock and lava are rendered lifelike and viscous in his time-condensed footage. We intercut an animation created from thousands of diagrams and drawings produced by George for an unfinished manuscript, a project he was unable to complete before his death in 2005. Known only as “The Book”, Walker's writings feature ten chapters rigorously describing different types of flow which emanate from volcanic action; from tephra clouds, falling deposits, and underwater landslides, to a’a rubble and pahoehoe lava rivers. We were privileged to gain unexpected access to Walker’s unpublished manuscript which not only constitutes a key textbook on geological rheology, but also proposes an an alternative lifestyle governed by an obsessive relation to research material. Method and madness co-mingle in George's diaristic notes and packing lists, documenting a schedule determined by weather patterns and a desire to transform into rocks themselves. 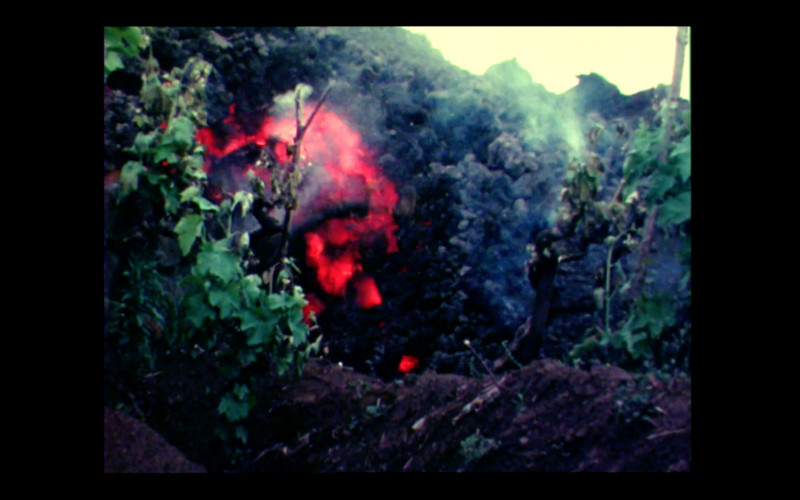 Our film pulls from Walker’s text and his personal fictions to appropriate the flow-dynamics of lava itself as a “sorting mechanism” for the archival material, and a set of guiding dynamics to aid the flow of own relationship as collaborating lovers. Made with generous support from the Arts Council England International Development Fund & Skaftfell Center for Visual Art. Special thanks to the Walker Family and GPL Walker Archives.